If you are impatiently waiting for the Overwatch closed beta to start up again, you’ll be waiting a bit longer. But the good news is, you’ll have a new game mode to play when it comes back. 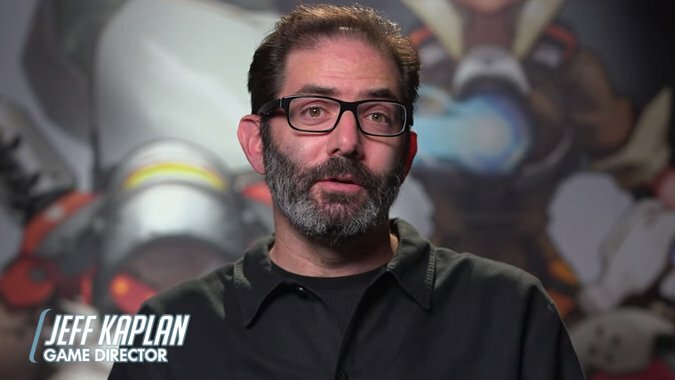 Jeff Kaplan, Overwatch‘s Game Director, made the following post to the forums explaining exactly why the beta isn’t coming back until February and what they’re up to. It sounds like they’re working on this new game mode pretty heavily, which has me curious — what exactly is the new game mode for Overwatch? Right now we have Point Capture and Payload, what’s the next model? Please don’t let it be Arathi Basin. I don’t even know how that would be possible but please don’t let it be Arathi Basin. In all seriousness I’m looking forward to it, if only because I hope that once the Beta comes back up I’ll actually get in and will get to play it some. Here’s the full post from the forums so you can see for yourself. It’s been a while since we’ve chatted, so I wanted to provide a quick update on the status of the Overwatch Closed Beta. When we brought the Closed Beta offline last December, we did so with the intent to use the downtime to address player feedback, work on some core features (like progression! ), and adjust the balance of the game. Our goal was to have all of that work completed before bringing the Closed Beta back online, and our hope was to have that goal complete by middle to late January. While progress has been great and the team has been working super hard to get everything implemented on time, we’re not quite ready to bring the Closed Beta back online just yet. We’ve been pretty open about the fact that we could slip into February from the beginning, but a big reason for this delay is that we really wanted to add one more big feature to the next beta patch. After looking through all of the feedback from last year, one of the things we noticed players consistently mentioning was their desire for more game modes in Overwatch, in addition to Point Capture and Payload. Without getting into specifics, we are working on a new game mode. And we’re very excited about it! And we have some great new maps to support it, too, but we need a little more time to get everything just right. Rather than try to rush a beta patch out this month (which would mean the new game mode would have to be put off), we’re going to take a few extra weeks before bringing the Closed Beta back. By doing so, we can make sure we can include the new game mode along with the new maps. This will also allow us to do some additional polish to the game’s progression and reward system. Though all these features will still technically be a work-in-progress during the beta, we’d like them to be at a certain quality bar before releasing them for testing. This was an easy choice for us to make, and hopefully this post can help you understand why we made it. I don’t have an exact date for when the Closed Beta will resume, but right now we’re looking at mid-February (and we don’t intend to slip out of February). We’ll do our best to provide at least one week’s notice before we’re ready to get this beta party started again, so definitely keep an eye on our official channels. We love making this game with you guys. It’s been so much fun and you’ve been incredibly supportive of us. Thank you all so much for your patience and we hope to see you in-game soon!